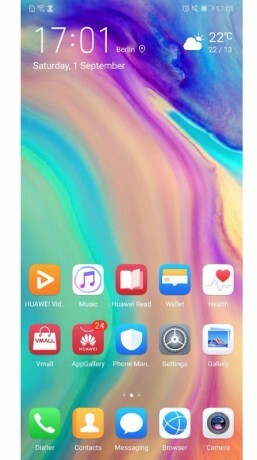 Huawei today revealed its forthcoming user interface skin, EMUI 9.0. The new user experience is based on Android 9 Pie, which means it offers many of the new features included in Google’s code. Huawei said its goal in developing EMUI 9.0 was to simplify the experience and make it more consistent. For example, it has reduced the number of options in its settings menu from 940 in EMUI 8.0 to 843 in EMUI 9.0. The company’s designers have pared back the look of individual apps and given them a consistent look across the user interface. Huawei also sought to make the UI more natural. It features nature-based wallpapers, backgrounds, and even sounds for the alarms and alert tones. The clock app will tick with the sound of a real clock and the keyboard will clack with the sound of a mechanical typewriter. The UI looks to smooth over navigation. For example, Huawei will move app controls to the bottom of the screen, where they are easier to reach, whenever possible. A new swiping gesture on the home screen will call up a navigation panel for jumping to select apps and settings. EMUI 9.0 also introduces GPU Turbo 2.0 with a focus on mobile gaming. Huawei insists its new algorithms improve GPU efficiency and reduce power needs during gaming, all while delivering smoother performance. Huawei claims EMUI 9.0’s GPU as run on its new Kirin 980 SoC performs significantly faster than the Qualcomm Snapdragon 845. Last, a password vault is being added to the platform to help with app logins. People will be able to store usernames and passwords in the secure zone and then call them up using a fingerprint reader or facial recognition when signing into apps. Huawei is offering EMUI 9.0 in beta form to select devices. It will eventually be seeded to the Mate 10, Mate 10 Pro, P20, P20 Pro, Honor 10, 10 View, and Play.